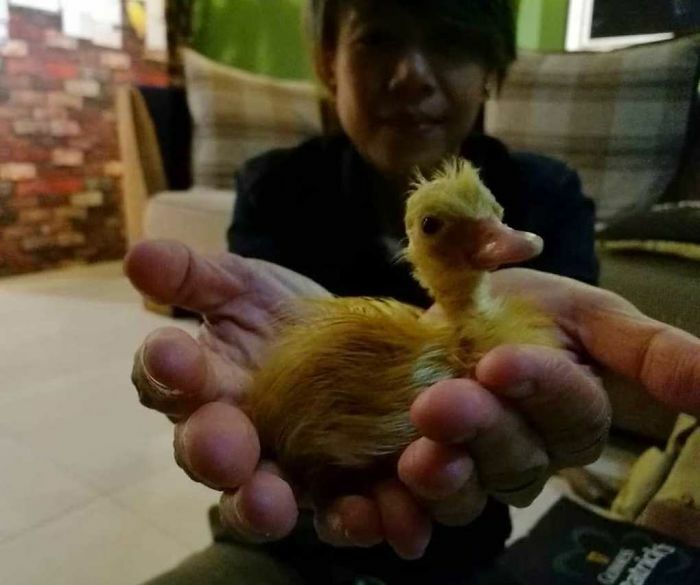 However, this Malaysian woman decided to take a risk and even managed to surprise her friends and family with her decision… Two years ago, 39-year-old Erica Lim, a creative professional from Kuala Lumpur, Malaysia, got a delightful little pet duckling! 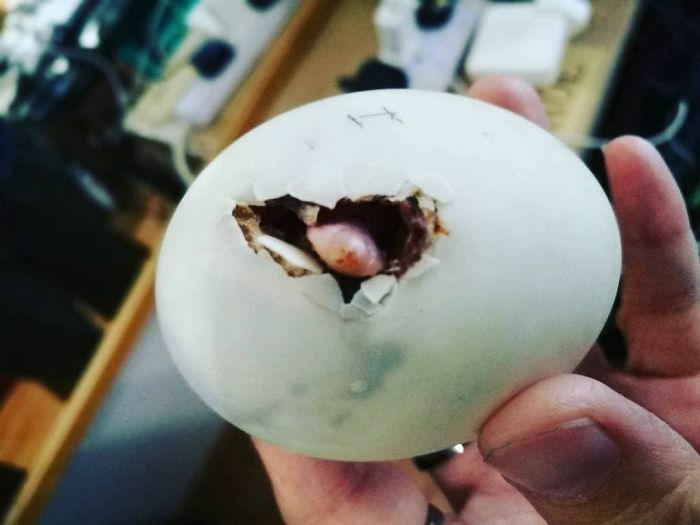 Everything started when Lim bought a fertilized duck egg in a Vietnamese restaurant in Puchong that sold balut, a controversial Filipino snack of fertilized duck embryo eaten alive from the shell. 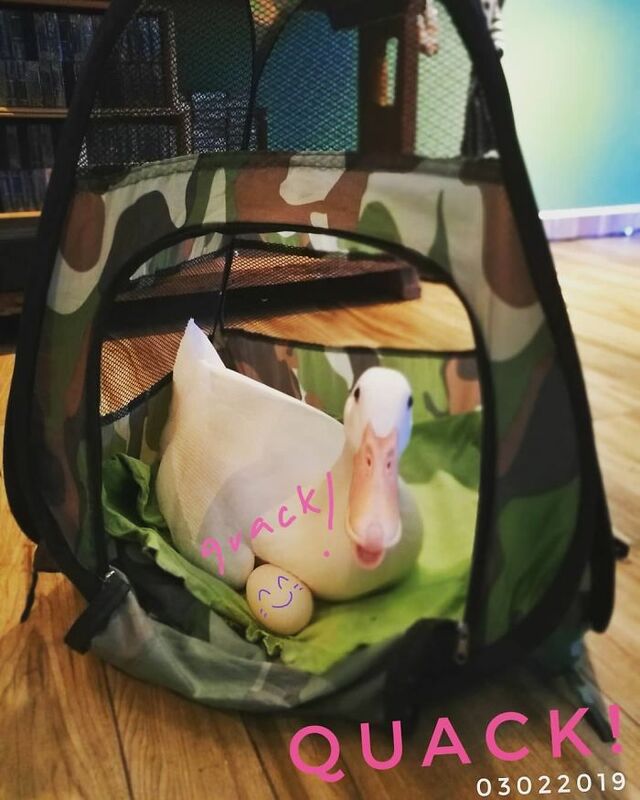 Lim had bought one on impulse and decided to hatch it at home. 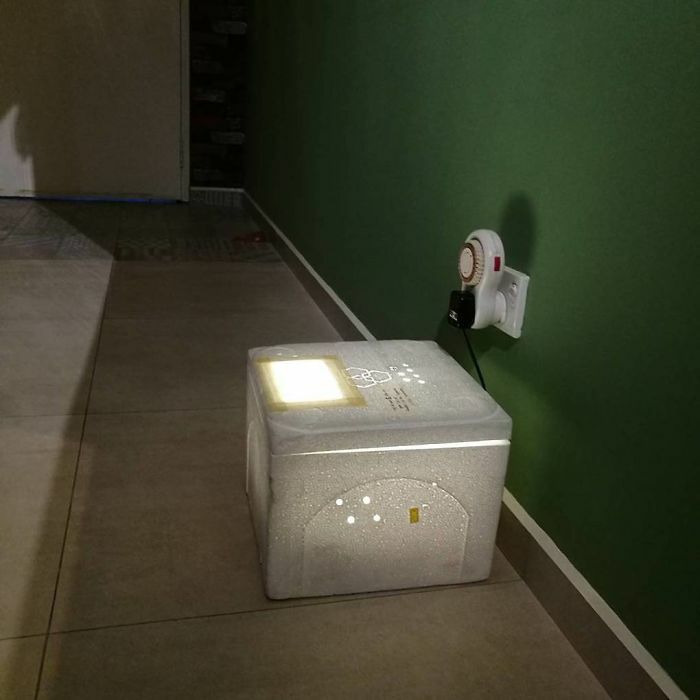 Driven by curiosity, she built a makeshift incubator from a Styrofoam box and some heat lamps, and placed the egg inside. 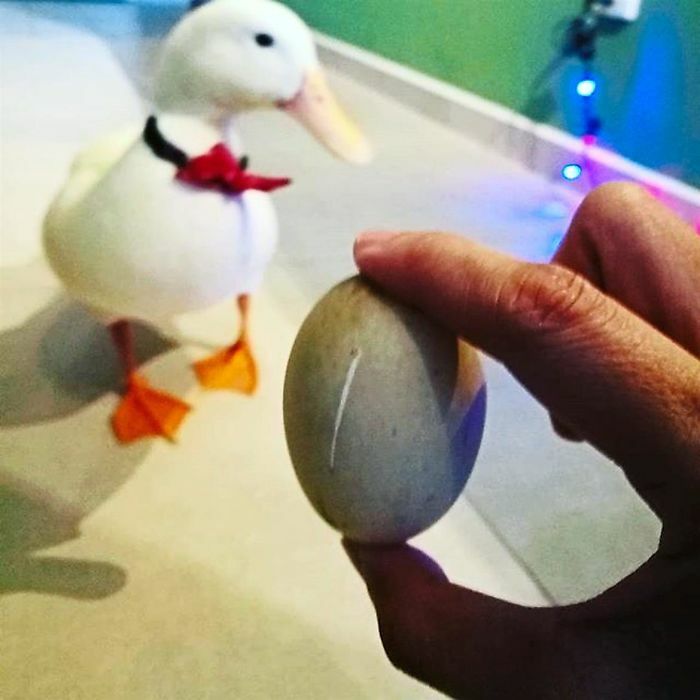 To her surprise, two weeks later, a cute little duckling was born and she became a “mother”. 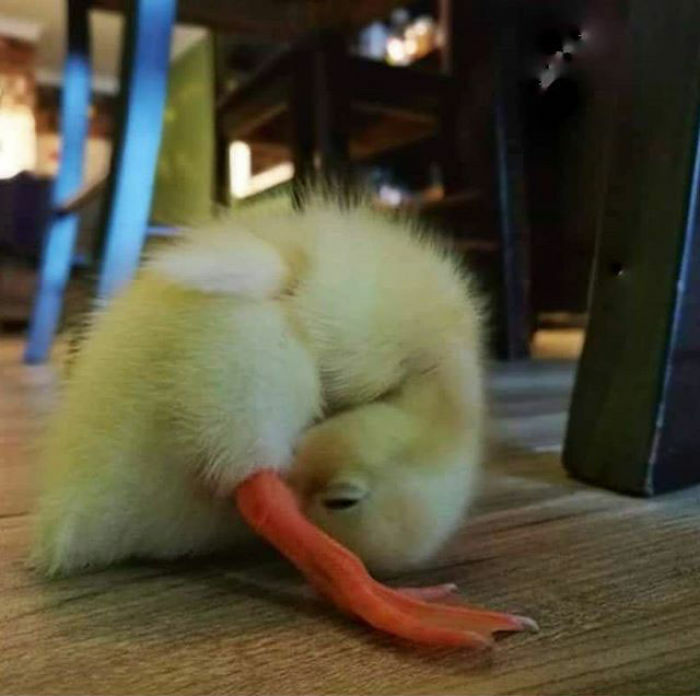 Lim instantly fell in love with the duckling and that’s how an experiment turned into a beautiful friendship. 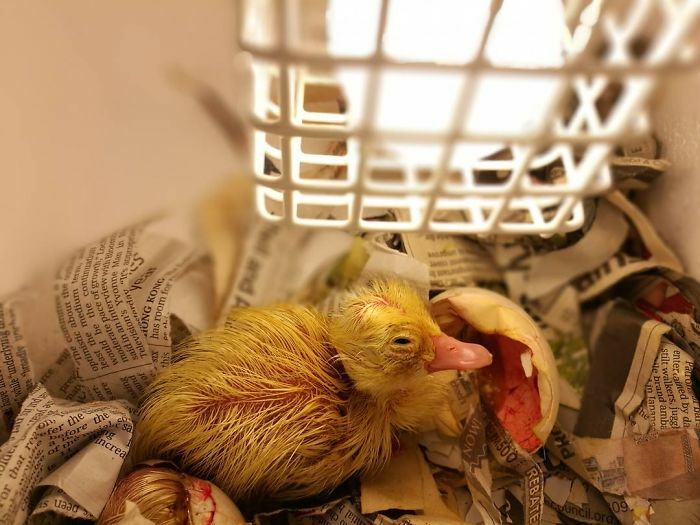 At first she named her Daisy but then started to call her by a cutesy name – Bibit. 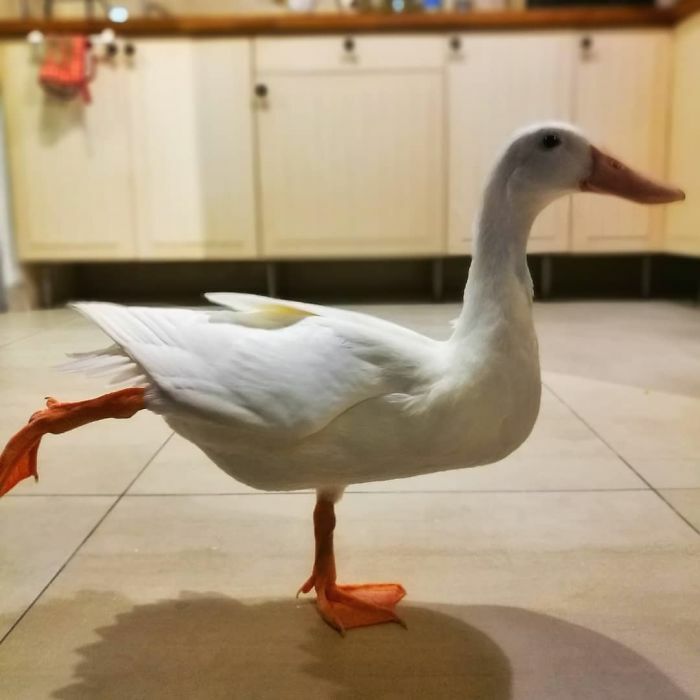 Unsurprisingly, Bibit loves water and often sneaks into the bathroom to splash around in the tub. 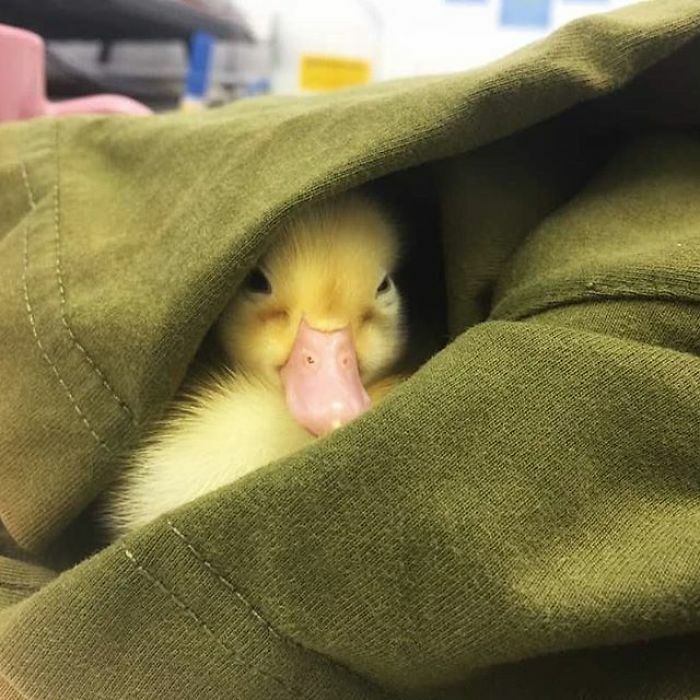 And if she’s quiet it means that she’s up to something. 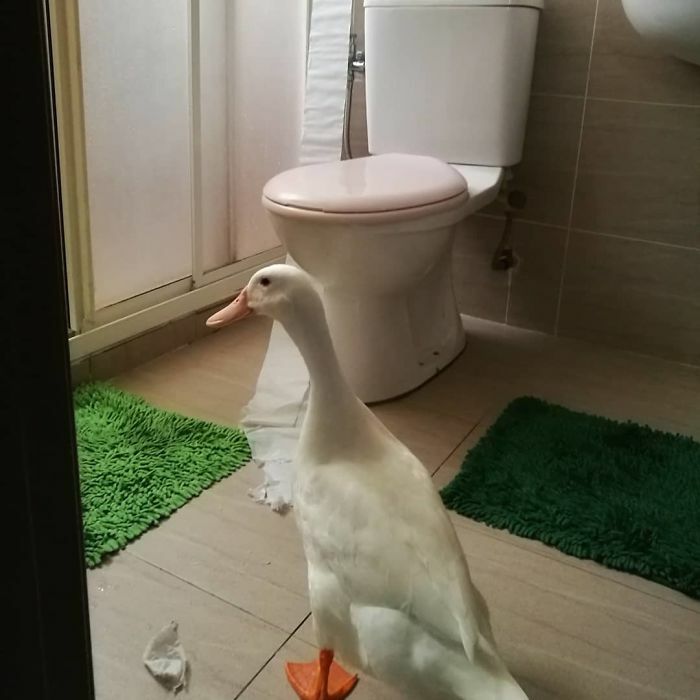 In a lot of cases, Lim finds her destroying something in the bathroom. 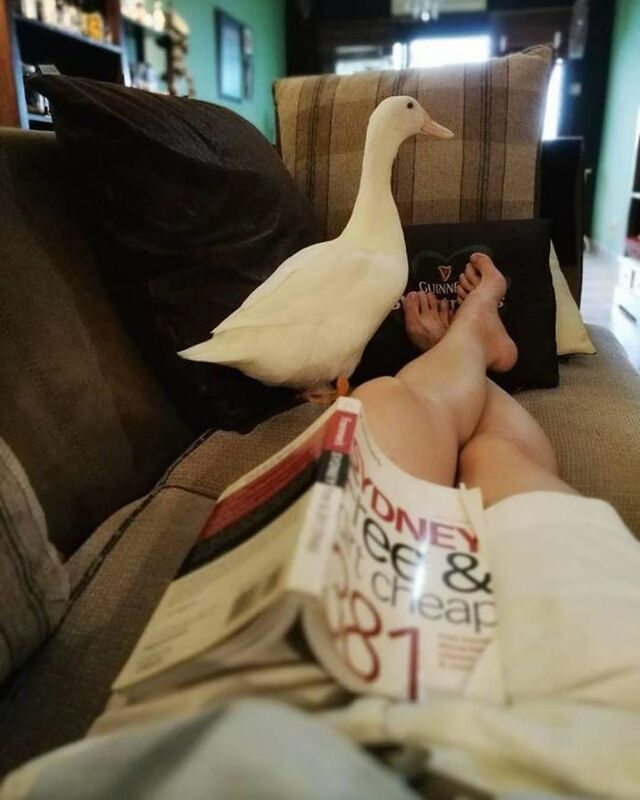 However, she also loves to hang out beside her owner when Lim is reading a book or simply watching Netflix after a long day at work. 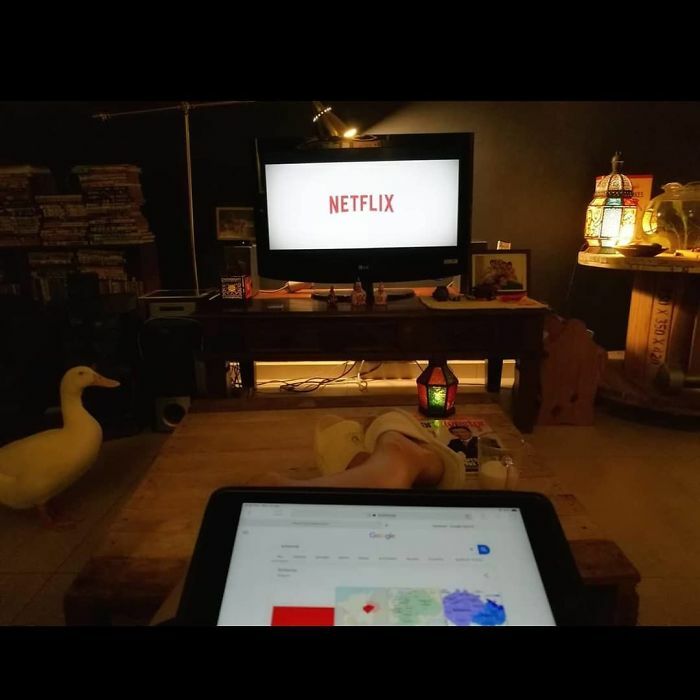 Both of them love to watch movie marathons together just like any ordinary city dwellers. 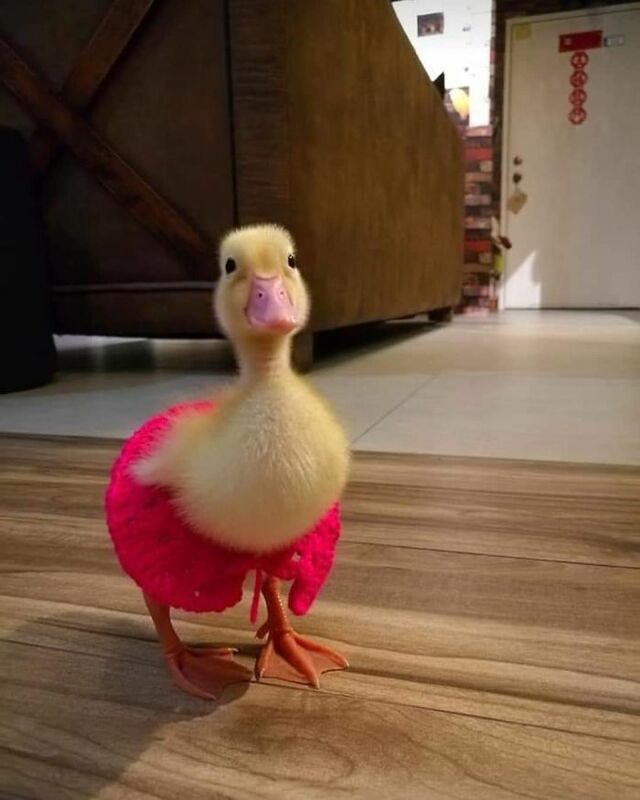 After all, she is a city duck and she knows how to enjoy the city life! 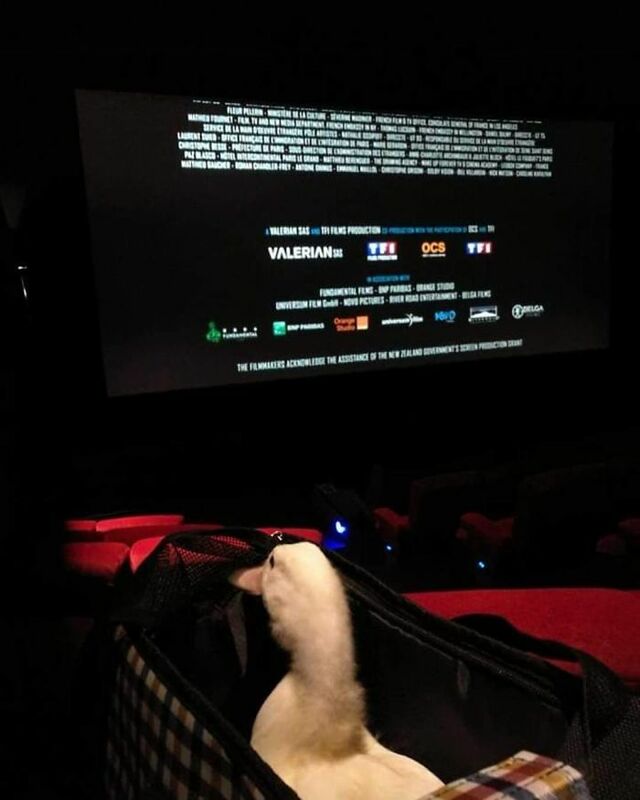 In fact, when Bibit was still a little duckling, Lim even managed to smuggle her into local cinemas for movie dates. Bibit behaved really well and she enjoyed the whole experience. 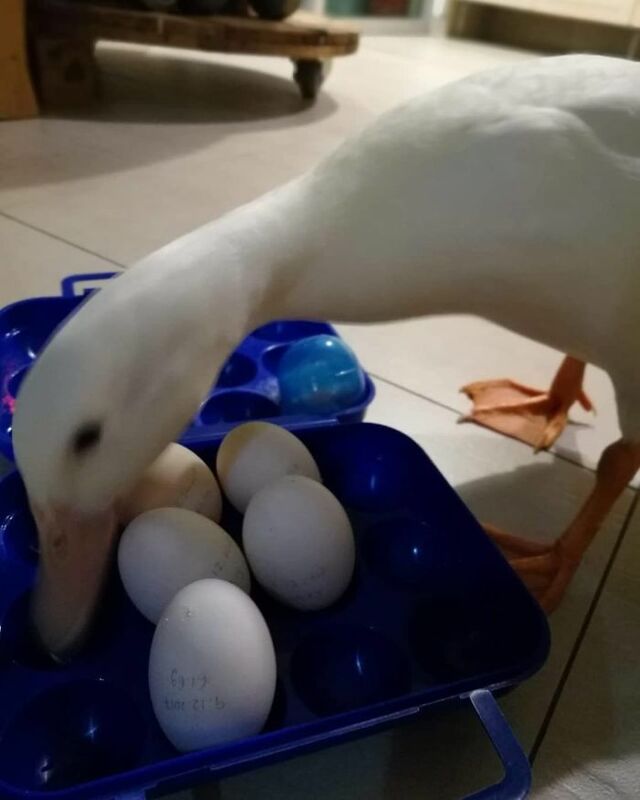 Lim says that Bibit lays an egg every 25 hours therefore she has an unlimited supply of eggs that she likes to share with her friends and family. 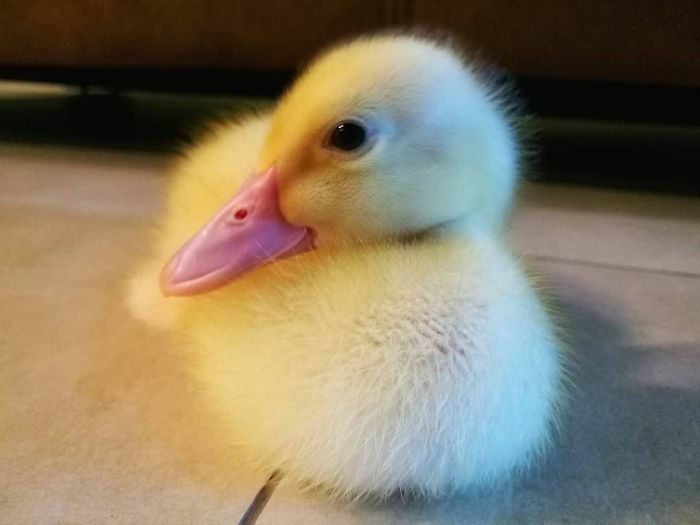 “Ducks make wonderful companions. 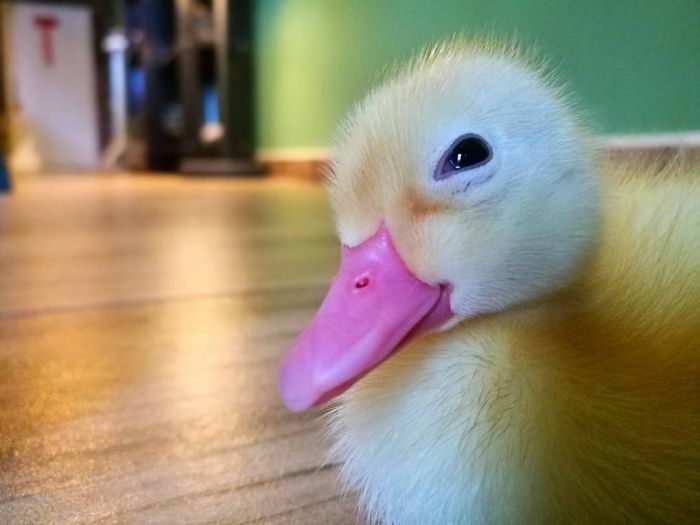 My Bibit is charming and attentive. 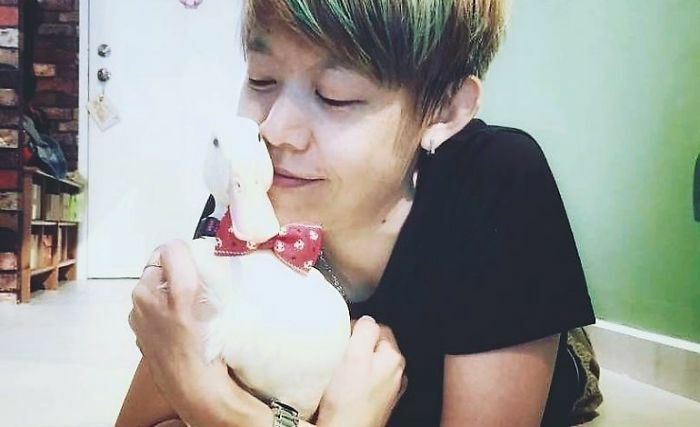 I hope more people realize how much fun it is to have a duck as a pet.” – says Lim.